Thursday night we headed back to the ballpark after a few days at the beach. The Sugar Land Skeeters were in town for the final time this season. They were in the news this week with the addition of Roger Clemens. Matt Hagen was the first player out and he came out early. He began playing catch with us for about 10 minutes before his teammates came out. He is one of the many really nice guys in the league and it will be cool to see him on ESPN tonight for Roger Clemens start. After playing catch with Matt, we were able to get quite a few autographs of the Skeeters that we had. It was also good to see former Barnstormers Iggy Suarez, Vic Gutierrez, and Octavio Martinez. As for the game, the Barnstormers won 8-0 behind a complete game shutout by 40 year old John Halama. Great game John...it was awesome to see! All in all it was a great night back at the ballpark. My name is Blake and I'm 16 years old. 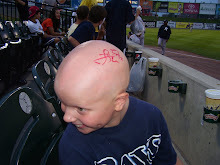 I was diagnosed with alopecia areata at the age of 1 and spent 9 years completely bald. We love to go to sporting events and collect autographs. 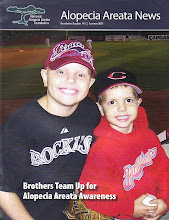 We have used this platform to raise money and awareness for alopecia areata. We are now doing a fundraiser with autographs to help the victims of Hurricane Harvey. You can email me with any questions or just to say Hi at autographs4alopecia@yahoo.com. What is Your Favorite Olympic Sport?